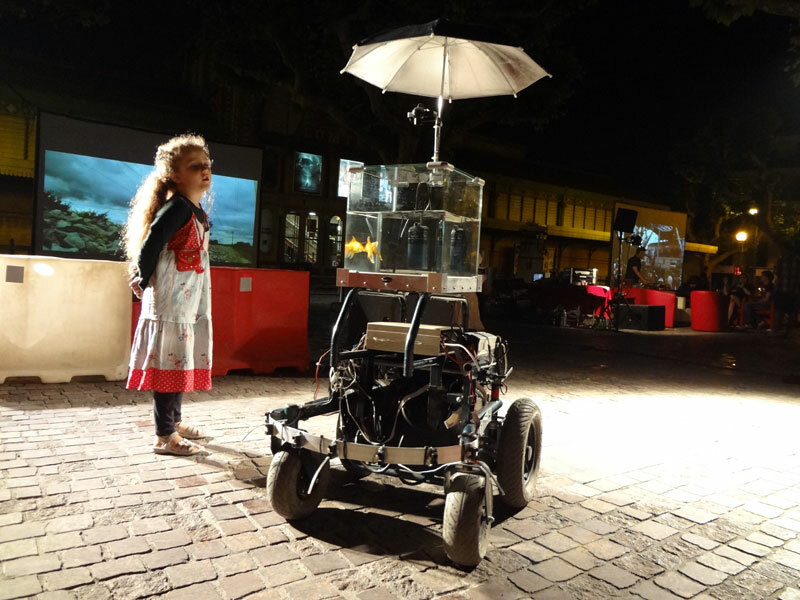 Machine 2 Fish is an installation in which the movements of a true living goldfish are being robotized by an experimental robotic system. Thanks to its prosthesis the goldfish can move as if in an earthly environment. 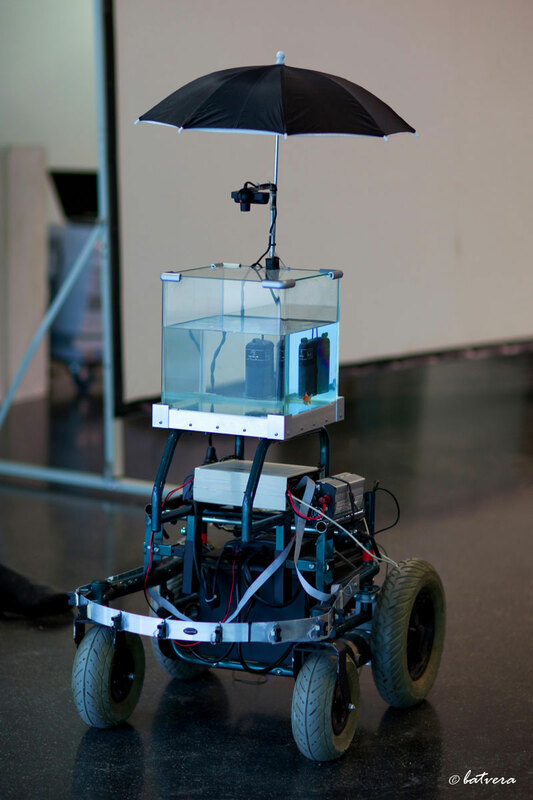 The fish and the machine combine into a smart autonomous device inspired by cyborgs and science fiction. 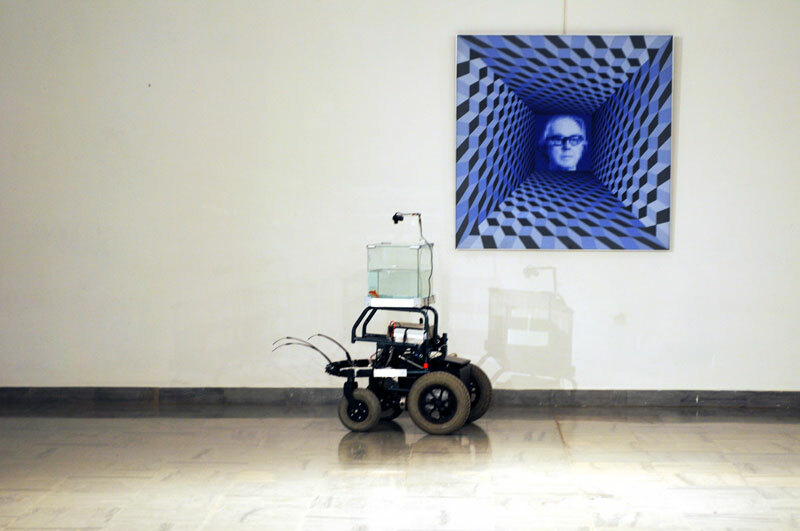 This installation was completed with support and production of M2F Créations. This entry was posted on Sunday, January 27th, 2013 at 10 h 15 min and is filed under Non classé. You can follow any responses to this entry through the RSS 2.0 feed. Responses are currently closed, but you can trackback from your own site.